There are some women who are going to require multiple posts because there is just so much to say about them, Mary is one of these women. This post is about the first of the many sacrifices Mary made throughout the life of her divine son, when she took her lamb as a sacrifice to the temple. 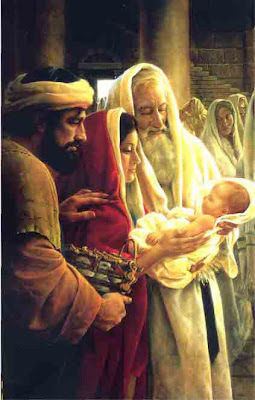 She and Joseph marveled at the things which Simeon prophesied about their young son (Luke 2:33). Some think that the bringing of only two turtledoves shows that the Holy Family must have been poor because they could not afford to bring a lamb. In reality, they were the most wealthy of families, spiritually, and brought a lamb of infinite worth. As I've studied this story there has been one question that has bothered me above all others--- why was a woman considered unclean physically and spiritually after giving life to a child-- 40 days if it was a boy and twice that long, 80 days, if it was a girl (Lev. 12)? And why was it necessary for a woman to make a sin offering as an atonement after giving life? These questions have been weighing upon my soul for sometime. I can't understand how something as amazing and beautiful as creating life could be punished by a separation from God and from others. It is hard for me to believe that God would punish women for doing what he created them to do, or that God could look upon childbirth as anything other than divine and sacred. It seemed even more strange to me Mary would be considered unclean and impure after giving birth to the Son of God himself. 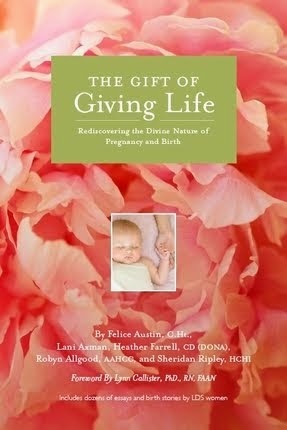 I just can't understand how something so good as giving life could be considered a sin. I still don't understand it completely but as I've pondered these questions I've come to a conclusion and this is it... That life is a two edged sword, because every woman who brings life to a child must also accept that she has ultimately brought death to that child. This is Eve's paradox-- that one can not know the sweet without tasting the bitter, that one can not know joy without the sorrow, and that there can not be life without death. To bring life is to bring death, and while giving life is not a sin being the cause of death is. During the law of Moses a woman was unclean after giving birth not because her body was dirty or because she had sinned in conceiving the child, but because with the new life she brought into the world she also brought death. Bringing a girl child into the world made a woman twice as unclean, not because girls are not as important or valuable to God, but because each new girl means more life and ultimately more death and sin. Under the law of Moses there was no redemption and a woman had to atone for her own sins, by being separated from the presence of God (the temple). Yet, in symbolism of the atonement that would one day be performed, she could be "redeemed" by sacrificing a lamb and a turtledove, but it was only symbolic. To bring life was still to bring death. This is where Mary's story becomes SO beautiful and SO important to EVERY WOMAN who has ever lived on the earth. When Mary took Jesus to the temple she presented to God the "great and last sacrifice", one which would conquer the bands of death and sin and free all souls forever. Jesus Christ's atonement and resurrection broke the bonds of death, meaning that ALL men, regardless of the lives they led on earth, would live again both body and spirit. 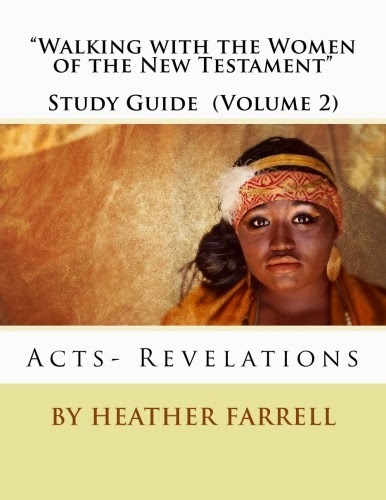 Christ's atonement meant that women no longer brought death with them when they gave life. Eve's paradox was broken-- there could now be life without death. 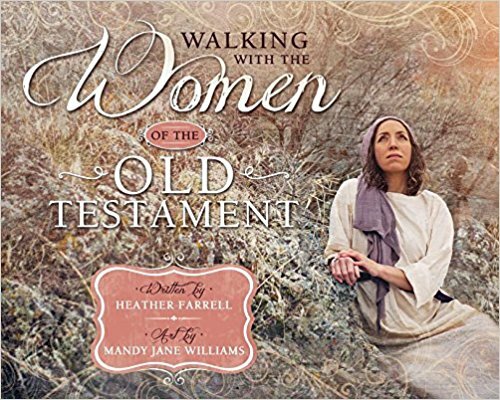 After the atonement women were no longer considered unclean after menstruation or after childbirth, because Christ had over come all death and man would live again. 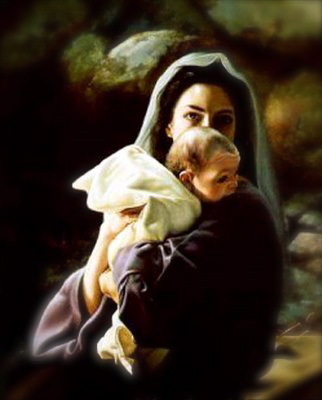 And it all began because Mary was faithful and strong enough to offer the ultimate sacrifice--- her Lamb of God. We often talk about how much God loves us because He was willing to sacrifice His son, but Jesus was Mary's son just as much as He was God's son. What great love Mary must have had for all human souls to be willing to offer her son as a sacrifice for all our sins. What a magnificent and amazing woman she must have been. One can only imagine how her soul must have rejoiced at what glorious blessings awaited the world, but how at the same time her heart must have broken into pieces knowing what she knew her son would have to suffer. My soul rejoices in her and I will be forever grateful to this magnificent and beautiful woman for all her sacrifices and the immensity of her love. Do you think she realized she was presenting her son as a sacrifice? Do you think she knew what her son was going to have to suffer? When do you think she comprehended the immensity of his mission and purpose? Do you suppose she ever had a hard time believing in her son? Did she ever doubt who he was or what he was called to do? Would you be willing to present your son or daughter as a sacrifice to the Lord? What sustained her through her grief? Hey Cute Heather. I liked what you said about Christ being the ultimate sacrifice. But I have rather different ideas about the Law of Moses stuff. I think most of it is a public health thing. I should give you a call sometime and we can talk about it. Love! We should call and talk sometime! As I was researching this I found a lot of people who talked about the health benefits of the law of Moses, about how separating menstruating women and requiring them to bathe, not having them eat dirty animals or be around people with skin diseases was God's way of keeping people healthy. But I don't think that health was the real reason for the law of Moses, any more than health is the reason behind the word of wisdom. Even if there were no proven health benefits to the word of wisdom (which at the time it was given there weren't) we would still follow it, because it is a symbol of our commitment to God and to the covenants that are made in the temple. The health benefits are just an added bonus, they aren't the REAL reason behind why we keep the commandment. I think this is how the law of Moses was-- that all the commandments had deep symbolism that bore testimony of the necessity of the atonement, and the health benefits were just an added bonus, but weren't the REAL reason behind it. It is kind of like Christ's parables and has multiple levels of understanding. The health reason is the easiest to understand and follow, but as a person learns more they find deeper and significant meanings behind God's commandments. I don't profess to understand it-- in fact I may be WAY off-- but this was the answer that felt right. Oh, sorry one more thought-- and if the commandment was really about health why would the spiritual separation be twice as long for a girl as a boy? I'm not trying to be antagonistic-- I am REALLY curious, I still don't really understand it all and would LOVE to hear others thoughts about it! I was wondering about this the other day after I did my birth-of-Jesus research. It was so perplexing to me for the same reasons it was to you. Thank you for sharing your insights because it REALLY helps me to see why a loving God would require this of his daughters. 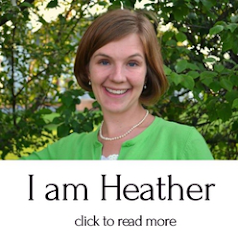 You're amazing, Heather! I've been on this blog all morning reading your careful, insightful, well written research. 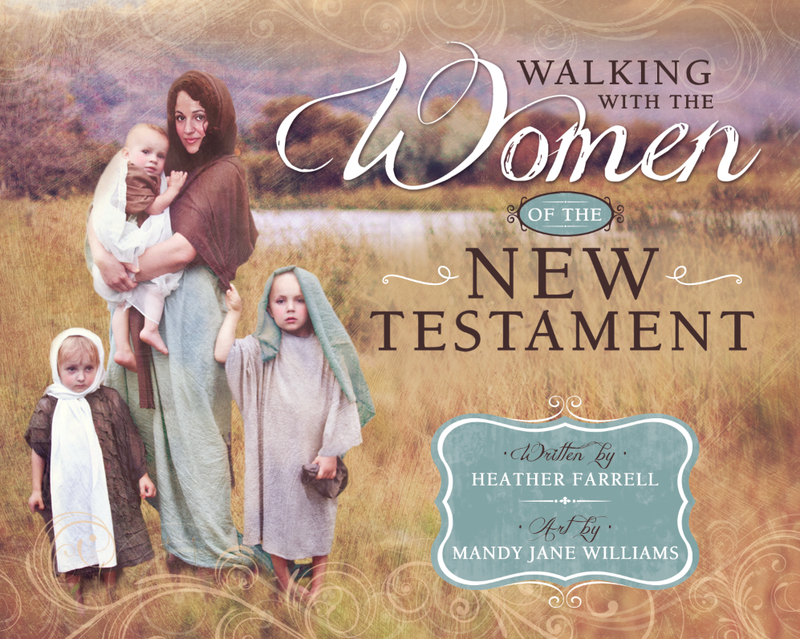 You are doing a great service to the women of the church with this site! Thank you! Great post! I think that when it comes down to the blood of women being unclean in the law of Moses, it was truly more symbolic than anything. Since the Law of Moses was strictly designed to turn the hearts of the Children of Israel toward Christ, it can be assumed then that the symbolism of being "unclean" and then "clean" again was given to women to remind them of the ultimate sacrifice that would be given for all mankind. In order to be clean again, they had to be unclean first. I think of it as a renewal of covenants. We don't have to go through a cleansing period anymore, thankfully, but we do renew our covenants often (on a weekly basis) where we can literally be completely clean again (via the sacrament) and we're asked to sacrifice all we have for Christ if need be. It's the higher law, but the meaning is the same. We bleed for our children. Christ bled for us. I don't think it was subjugating women because they were women. I think it was a honor bestowed upon women to remind them of the promise of a Savior. Unfortunately, we know that the Children of Israel chose to forsake the MEANING behind the Law of Moses and look only at the actions therein. They missed the point entirely. When we look at the ACTIONS alone, the entire Law of Moses seems restrictive, ridiculous and not applicable. When you consider the POINT being Christ (which you definitely pointed out) it becomes MUCH more clear. I'm new to this blog and just read this post. I have another idea about the uncleanness, though perhaps not as spiritual or holy an idea. Under the law of Moses, (as aforementioned, the spiritual side of it was forgotten in the details, sadly) men often had dominion over their wives. I think that in the 40 days after birthing, when she was "unclean", she had time for her body to heal down there before she had to worry about her husband pressuring her in bed. If men couldn't even sit where an unlean woman had sat, there's no way a pious man would become so entwinted with her until she were clean again. Mothers know that the tenderness after birthing can't really be understood by their husbands and that having too much action too soon can be quite painful. So that time of uncleanness may have been a gift to women. But as with the other ladies, 80 days after birthing a girl stumps me. Perhaps we'll understand that better when all things are revealed and for now just be content with knowing that His ways are higher than our ways, and that with these mortal brains, we can't fully understand all He requires of us. I do think, however, that everything required does have a deeper purpose beyond simply testing our devotion, with great blessing associated with it that we may not see or understand. My daughter told me about your site and I have been loving it. 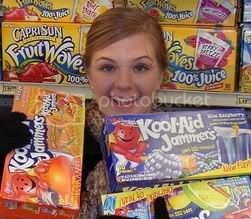 One thought on this topic: this period of "uncleanness," as grating as that sounds to modern ears, was probably very much valued by an Israelite woman. This was time she didn't have to fulfill outside duties. The community of her sisters (RS equivalent) was probably bringing in Lentil Soup and she didn't have to worry about how she looked or how her house looked. She could relax, bond with her new baby, get nursing established and so forth. Why 2x as long a vacation for a girl baby? I don't know, but I was thinking about how excited everyone got when a boy was born. Maybe twice as much time off was a compensatory gift for the mother of girls, so if they were disappointed they hadn't produced a boy, at least they had this nice long rest to look forward too, and it would be a good time to bond and connect with the new daughter. Sometimes the ancient laws had practical as well as symbolic purpose. Just an idea that came to me as i tried to put myself in the place of a woman of that time. THANK YOU for this post! This really resonated with me! I think when we give birth to a child, we are causing the fall of that child. We are taking that child out of the presence of God and bring them into "the lone and dreary wilderness." Just as Eve, although she made the right choice, was cast out from the garden and needed Christ to redeem her, women under the law of moses were cast out of the presence of God and need to make their own sacafice. Ahh!!! I love it!! It's beautiful! I really like Valerie Hudson-Cassler's interpretation. She sees childbirth as a type of ordinance initiating women to another level of apprenticeship to our Heavenly Mother (motherhood small "m" as one of the manifestations of our apprenticeship to Motherhood capital "M"). 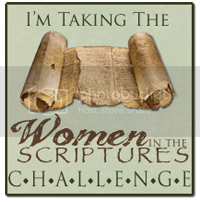 She says, "Similarly, can we imagine allowing our doctrine to reshape scriptures that seem misogynist? Instead of allowing conventional, often male-created, understandings to guide our interpretations of scripture, can we allow the Restored Gospel’s vision of equality between men and women to guide us? For example, take...that part of the Levitical law which stipulates that after the birth of a baby boy, a woman is unclean 7 days, but after the birth of a girl, a woman is unclean twice that, 7 x 2, or 14 days? (Lev. 12:2, 5) Most interpretations focus on how the birth of a girl is a doubly unclean event, because both the girl and her mother are both women, which fact implies lack of cleanliness. This viewpoint has clearly been colored by global, historical misogyny. But as we reach inside ourselves, we find the nerve to say, “That can’t be right. That’s not in harmony with the spirit of the Restored Gospel. That’s an interpretation based on the false traditions of men.” And so with confidence that as our Mother’s daughters we will be able to see her hand, we might reach for alternative interpretations. For example, if a woman comes to earth already bearing her divine power and authority, it is noteworthy that the time period specified in Leviticus to consecrate Aaron and his sons as priests was seven days (Lev. 8:33). Instead of seeing the second 7 days as being necessary because there is an extra unclean person after the birth of a girl, perhaps that additional seven days was meant as a period of consecration for a newly arrived apprentice of our Mother. 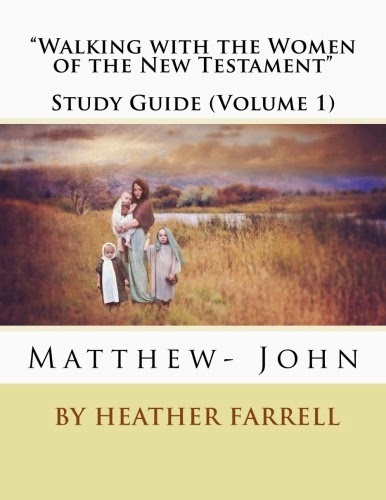 That’s another interpretation worth considering, given its better harmonization with the principles and doctrines of the Restored Gospel."